Search.searchpcst.com is the PUP that uses misleading techniques to prevent removal. Use Reimage to locate malicious components and get rid of them faster than with uninstall instructions. A full system scan blocks virus reappearance and prevents traffic to malicious domains. Why using Search.searchpcst.com is a bad idea? I’m infected! How did that happen? Are there any guarantees for a successful Search.searchpcst.com removal? Search.searchpcst.com virus does not bring anything new to the table since it is a typical browser hijacker which operates like thousands of others before it . If you are familiar with this particular family of viruses, you probably know all too well about the deceptive strategies they use to infiltrate computers and the all the mess they may cause on the hijacked systems. In such a case — we do not force you to go through all of the information you already known again in this article. You can skip straight to the Search.searchpcst.com removal instructions and get to work. However, for those of you who would like to learn more about browser hijackers, we kindly invite you to continue reading on. The initial problems which seem to bother Search.searchpcst.com hijack victims the most are the search engine and homepage changes as well as system performance issues. The victims complain that their Web browsing has become nearly unmanageable: the shady new search engine does not provide the search results they anticipate and the ones provided by Search.searchpcst.com redirect them to even shadier parts of the Internet . Besides, the homepage of this bogus search provider also promotes an obscure software for testing the internet speed. Upon entering Open Speed Test website, the page drops pop-ups  asking you to turn off your ad blocking program. Such urgency can only be explained by the site owners’ desire to earn revenue from advertising . And this is exactly what Search.searchpcst.com does as well. It promotes affiliate sites and floods the infected computers with sponsored links just to gather valuable clicks. To assist the virus in creating more relatable content, various helper-objects  might be installed on the browser without the user’s permission. These potentially unwanted programs will also keep rolling back any browser changes that might be attempted on the browser, making it difficult to remove Search.searchpcst.com from the corrupted device. In such a case, you should definitely give Reimage a try. The program will automatically detect and exterminate malicious files leaving your computer spanking clean. Let us be honest with you. If you have been infected with Search.searchpcst.com, it is probably your own fault. Don’t be too hard on yourself, though, because potentially unwanted programs are excellent at tricking users into allowing them on their computers themselves. For instance, the malware authors may add Search.searchpcst.com to the software package along with completely inconspicuous programs, and you may install it without even realizing it. This usually happens if the users skip the “Advanced” installation mode and allow the installation wizard to do all the work automatically. We do not advise doing that and suggest you always investigate the content you are installing on your device manually. We should remind you that Search.searchpcst.com virus is a browser hijacker, or, in other words, a lightweight infection that does not stand a chance against powerful antivirus tools. The chances that the Search.searchpcst.com removal will fail are slim, so you can trust your antivirus to do all the work for you. If for some reason, you wish to remove the virus manually, you can always use the instructions at the end of the article. Do not wait any longer and remove Search.searchpcst.com from your PC! Here, look for Search.searchpcst.com or any other recently installed suspicious programs. Wait until you see Applications folder and look for Search.searchpcst.com or any other suspicious programs on it. Now right click on every of such entries and select Move to Trash. 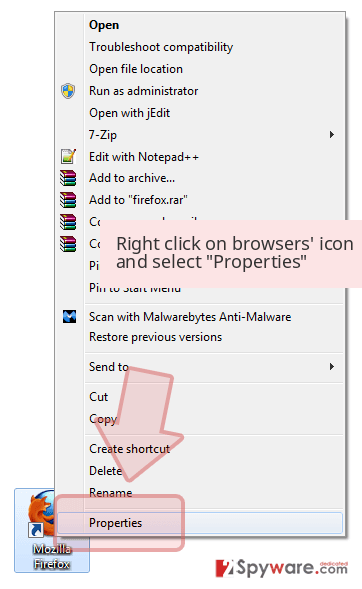 When in the new window, check Delete personal settings and select Reset again to complete Search.searchpcst.com removal. 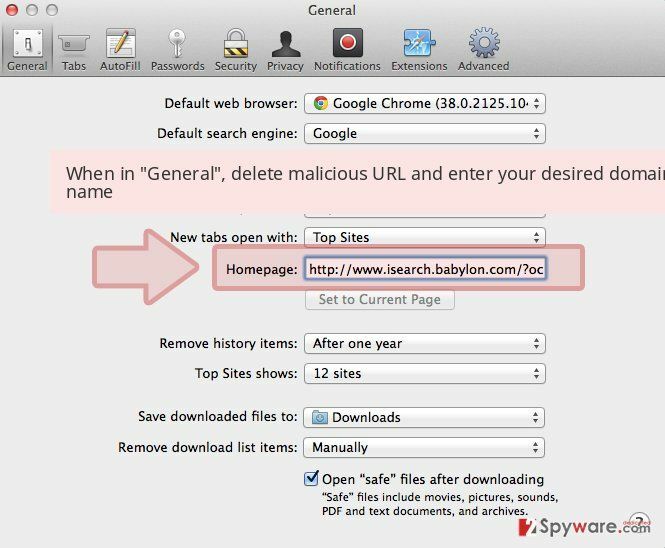 Since you can’t be sure if Search.searchpcst.com has not installed some potentially unwanted programs on your browser, you should manually go through the list of the installed content and pick out entries that seem suspicious. Then reset your browser and you are good to go. Once these steps are finished, Search.searchpcst.com should be removed from your Microsoft Edge browser. Here, select Search.searchpcst.com and other questionable plugins. Click Remove to delete these entries. Now you will see Reset Firefox to its default state message with Reset Firefox button. Click this button for several times and complete Search.searchpcst.com removal. Search.searchpcst.com rarely travels alone, so even if you remove it from your computer, there still might be malicious software on your device left. Make sure you conduct a thorough browser inspection and banish the undesirable content out of your browser. Here, select Search.searchpcst.com and other malicious plugins and select trash icon to delete these entries. 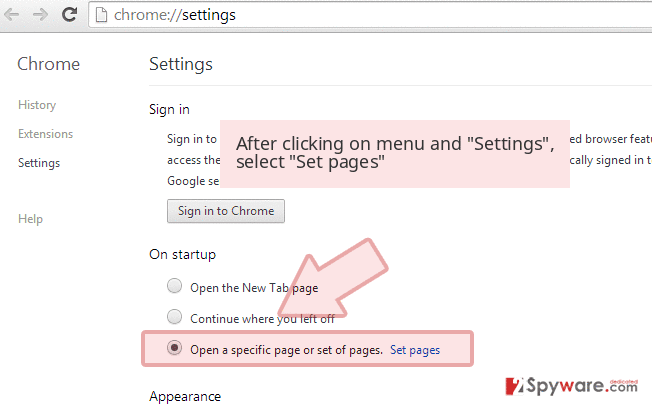 Click Reset to confirm this action and complete Search.searchpcst.com removal. 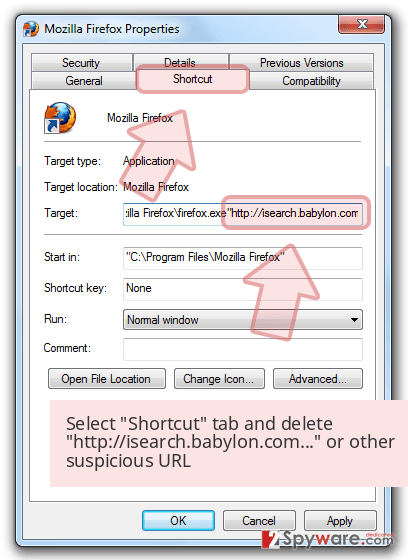 Here, select Extensions and look for Search.searchpcst.com or other suspicious entries. Click on the Uninstall button to get rid each of them. Here, look at the Homepage field. If it was altered by Search.searchpcst.com, remove unwanted link and enter the one that you want to use for your searches. Remember to include the "http://" before typing in the address of the page. Now you will see a detailed dialog window filled with reset options. All of those options are usually checked, but you can specify which of them you want to reset. 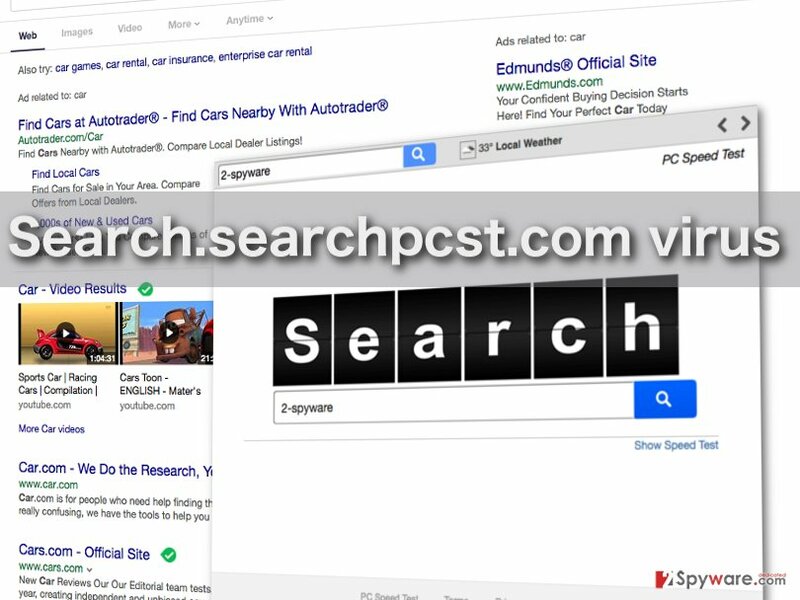 Click the Reset button to complete Search.searchpcst.com removal process. 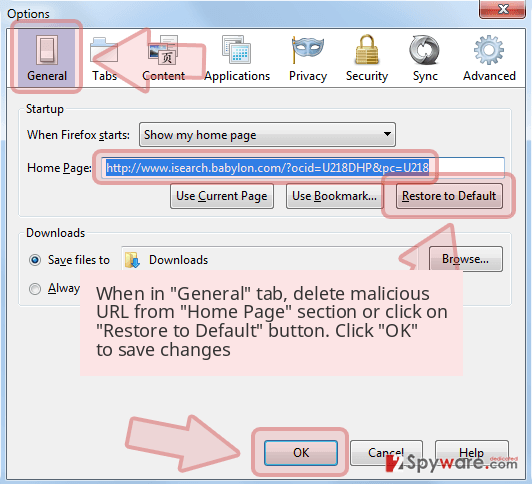 ^ What is a Browser Hijacker ?. http://computersecuritypgp.blogspot.lt. ^ Noah Gamer. Ads on websites are dangerous to more than your sanity. Trend Micro antivirus news site. ^ Hannah Alvarez. Pop-Up Ads: The Most Hated Web Experience, and How to Do Them Right (If You Have To). Usertesting blog. ^ Report: Advertising revenue on piracy sites exceeds $200 million. Worldipreview news site. 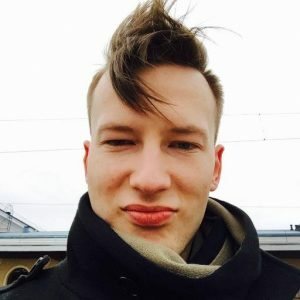 ^ Watch out for rogue browser extensions. BullGuard antivirus news blog. This entry was posted on 2017-01-04 at 07:06 and is filed under Stealing programs, Viruses. You can quickly scan the QR code with your mobile device and have Search.searchpcst.com virus manual removal instructions right in your pocket. How did you remove Search.searchpcst.com virus?